Many people are put off the idea of taking risks because of their connotation of the meaning of the word ‘risk’ in the first place. Most people associate risks with other terms like dangerous, gamble and reckless, for example. And it’s true. Many risks that some people take are indeed highly reckless and dangerous or are gambles that we all know have no chance of coming off. However, if you look at the concept of risk in another way, you’ll see why we all need to be taking risks occasionally. If you analyse risk taking closely, you’ll see that wherever there’s an element of a risk involved, it will always usually contain some kind of change. Of course, all of us are aware that change is inevitable, even though some of us may not like it. However, we accept that it is inevitable as we move through life. Therefore, by grasping the concept of risk equalling change in some way, it makes taking risks seem more natural. Another important aspect of risk taking is to accept that not all risks are equal. The realisation of this and your understanding of how to weigh up risk will ultimately lead you to be better place to decide which risks you are going to take in life. What you should be looking to do when faced with any choice situation which involves an element of risk taking is to make your choice as the result of intelligent evaluation of weighing up the upside against the downside. What you’re looking to achieve here is to see if the ‘balance of the scales’ tilts in such a way so that the benefits of the risk far outweigh the possible negative consequences if you were to take the risk. In these circumstances, it’s almost always right to take the risk, providing you’ve thoroughly examined the risk element involved. Most of us are only too aware of what stupid risks look like. 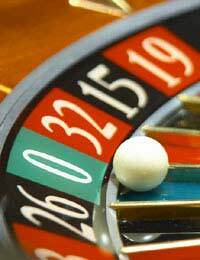 Throwing a week’s salary on one number on the roulette wheel or driving whilst three times over the legal alcohol limit would fall into that category and thankfully, the vast majority of us are able to recognise stupid risks and not to take them. However, where many of us fall down, if we’re the kind of people who are ‘risk averse’, is in our failure to not seize upon the intelligent risks that are often presented to us in life as opportunities. Therefore, it’s important to remember that all good fortune which comes our way in life is not always handed to us on a plate. Sometimes, there are elements of risk taking involved. However, as long as you analyse the risks and decide that they present an intelligent risk, then it’s important to take risks now and again because, in not doing so, many opportunities in life are likely to pass you by.